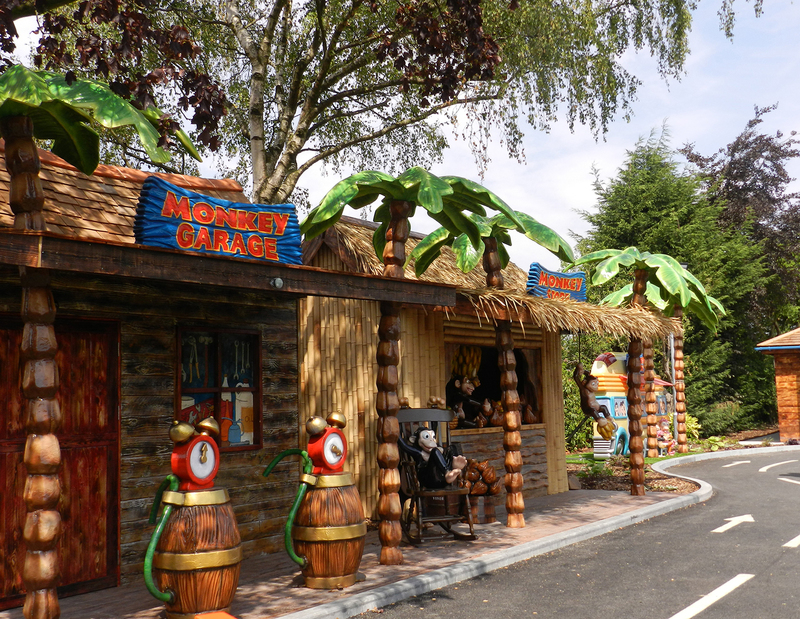 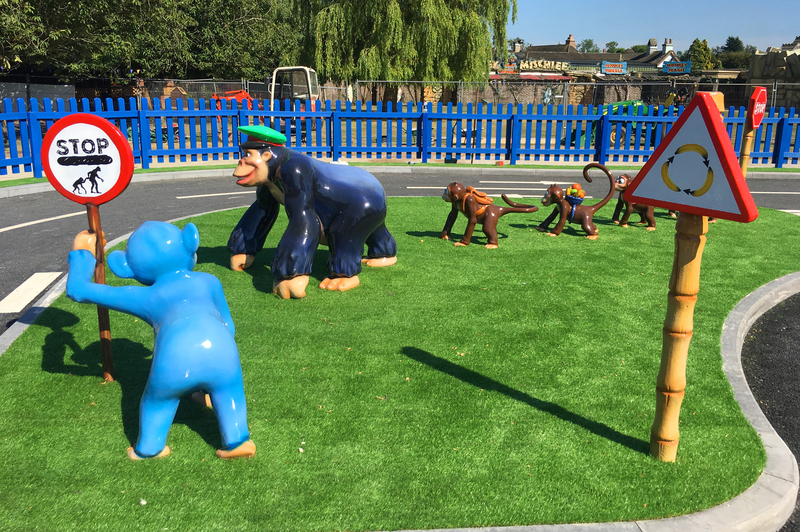 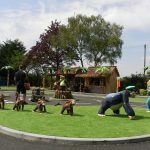 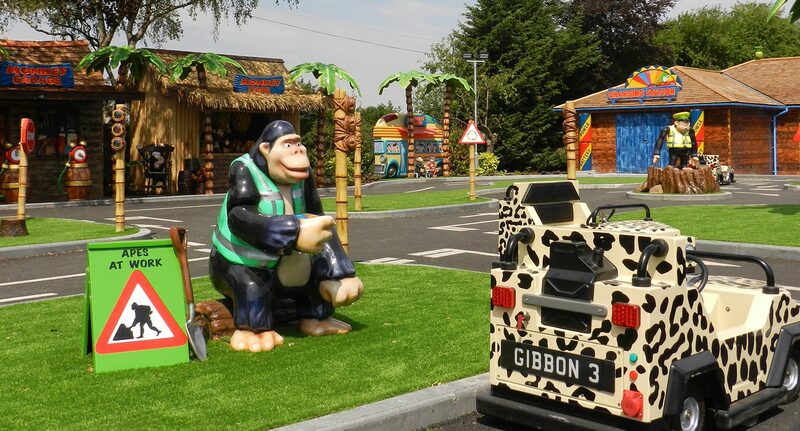 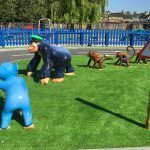 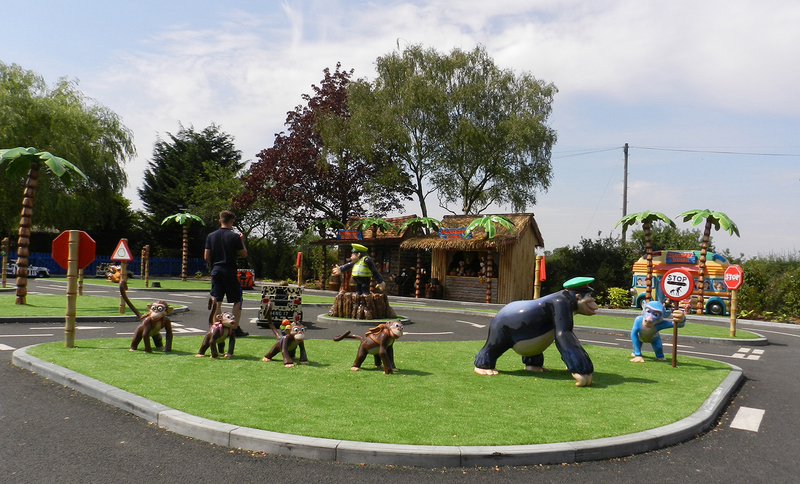 New for 2018, Monkey Mayhem Driving School was launched after our clients at Sundown Adventureland asked us to design and create a ‘kids driving school’ experience based on their Parks existing Monkey theme. 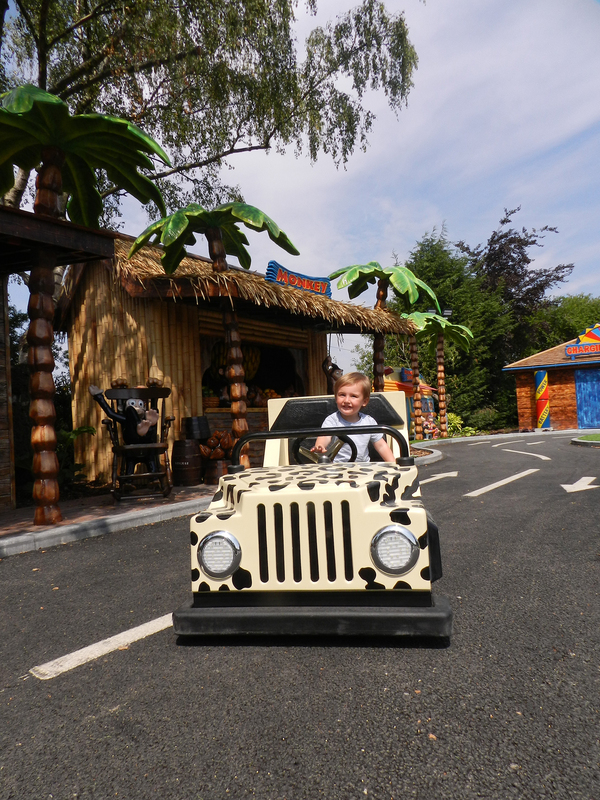 The attraction has proved to be a welcome hit to all the ‘wannabe’ motorists that attend the park. 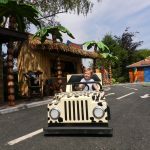 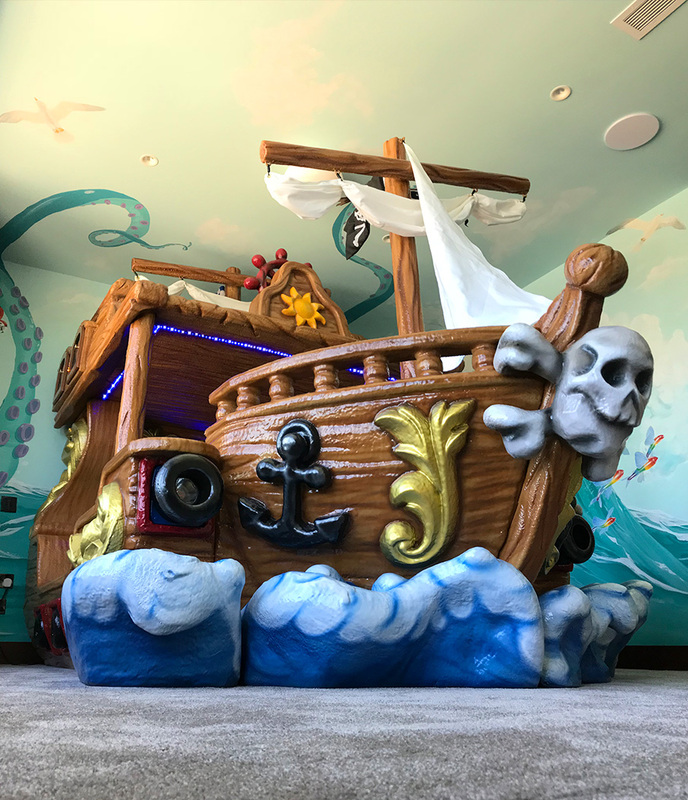 A fun-filled, immersive experience that is not only fun and interactive, but both colourful and educational. 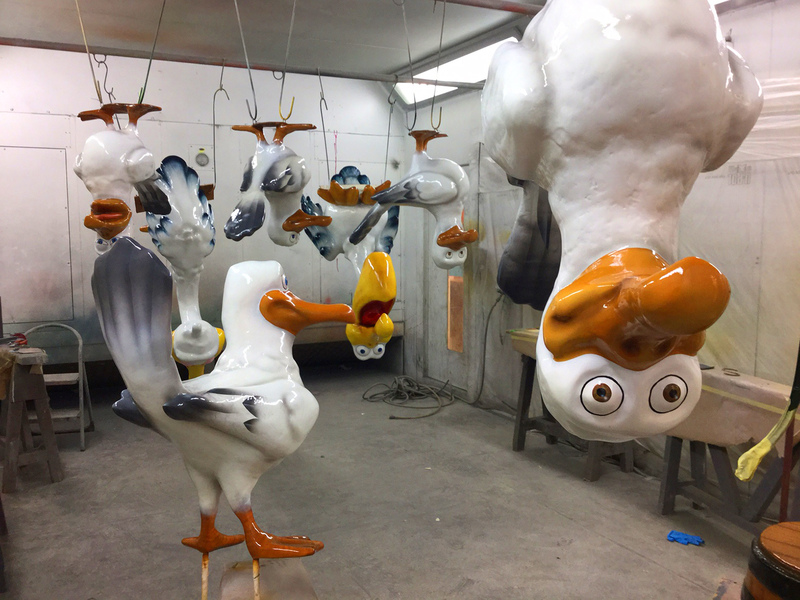 We selected a few of the characters to be animated, to add another dimension and create a more immersive, believable scene. 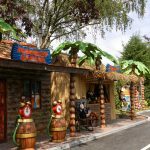 Considering the landscaping and general layout of each area, we included service building facades, Palm trees and themed road signs and traffic lights. 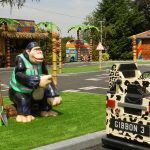 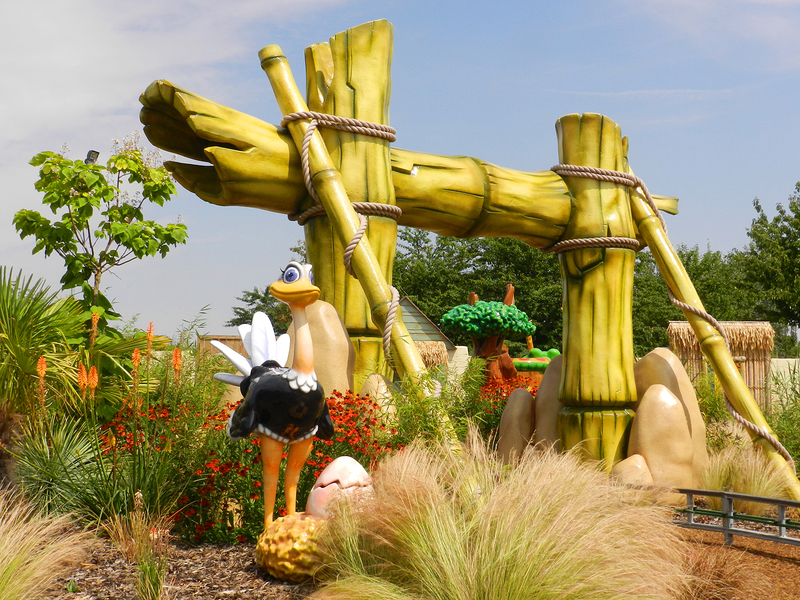 Working closely with our clients and the ride car and track manufacturer Gardendale’s engineering, we provided an intricate masterplan that contained all the elements required within a story-line to provide theming possibilities.